Enrich Gifts: You Have Diabetes? Now What? If you find yourself confused and uncertain about the best health choices now that you have diabetes, let me share some strategies and tips that can help. Prescriptions drugs are available to help with all of these, but the more you can do with safe and natural solutions, the better off you'll be. 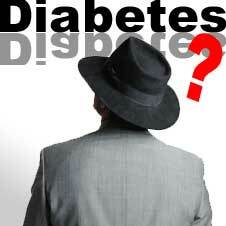 Type-2 diabetes is the result of genetics to some degree. But lifestyle choices also contribute to its development and progression in a big way. Eating a diet high in processed foods, sugary snacks, and low-fiber carbohydrates can contribute to the onset of diabetes and make your condition worse. Carbohydrates, especially simple sugars and starches, spike your blood sugar levels. Your body responds by producing insulin to move the excess glucose from your blood into your cells where it can be burned as energy. The development of insulin resistance isn't well understood, but once it takes hold, your blood sugar and blood insulin level become chronically high, and that puts you on the path to diabetes. The first step in controlling your blood sugar levels is to eat a smarter diet. First, cut out processed carbohydrates except on special occasions. White bread, white rice, baked goods, and sugary drinks can spike your glucose levels. Foods high in fiber – even carbohydrates – tend to help control your blood sugar levels. Whole grains, beans, nuts, and seeds are all excellent options. In studies, people who eat more fiber on a regular basis are less likely to develop diabetes because of better blood sugar control. Fruits and vegetables are also an important part of a healthy diet, but seem to have less effect on blood sugar management. Build your meals around whole grains, lean proteins like fish, vegetables, and healthy fats like olive oil. This is the best approach to eating for blood sugar control and overall health. For optimum blood sugar control, what you eat is important, but so is when you eat it. You want to give your body steady nutrition throughout the day, including plenty of slow-burn carbohydrates to keep your blood sugar even. Plan your meal times and snack times, and try to eat at the same times each day. Also have roughly the same serving sizes of carbohydrates day over day. For example, a bowl of old-fashioned oatmeal has 27 grams of carbs. The older many people get, the greater tendency there is to seek pleasure and avoid getting outside their comfort zone. Resist this at all costs by embracing anabolic stress. Working with weights and stressing your body with rigorous exercise is the best thing you can do to just say no to premature old age. No magic pills. At least thirty minutes a day of exercise, whether it's walking, cardio, interval training, or weight training, can go a long way to helping you become more fit and to lose weight if you need to. It also helps manage your blood sugar. When you exercise, your body burns stores of glycogen. When you burn off glycogen, it allows your body to use glucose more efficiently. Chromium: Improves the action of insulin in your body and may help with blood sugar management. Take up to 1000 micrograms a day. Cinnamon: A quarter teaspoon of cinnamon each day helps to lower blood sugar. Alpha Lipoic Acid: Reduces insulin resistance and also protects your nerves and cells from damage caused by high blood sugar and insulin. Take 600 grams a day. Magnesium: Lowers insulin resistance and helps protect you against complications like eye problems. Men should take 420 milligrams per day. Women should take 320 mg daily. The great thing about eating, exercising and taking supplements to control your blood sugar is that these steps also help to control your cholesterol levels, protect your heart from disease, and lower your blood pressure. A diet rich in fiber, lean protein, and healthy fats is an effective way to control cholesterol levels. And regular exercise can help you maintain healthy blood pressure levels. No medication your doctor can prescribe offer this many benefits. Add in a fish oil supplement. The omega-3 fatty acids in fish oil can support good heart health and lower your triglyceride levels. Try a ginseng supplement. In small studies, ginseng has helped to lower LDL cholesterol and raise HDL cholesterol levels significantly. More research is still needed, but initial results are promising. Living with type-2 diabetes is serious business. But it's very manageable if you take charge. By making a commitment to eat right, exercise and take supplements to help control your blood sugar, cholesterol, and blood pressure levels, you'll make strides toward maintaining good health and preventing the devastating complications diabetes can cause.